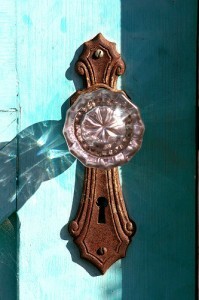 Glass door knobs are beautiful, whether they’re old or new, but there’s definitely no comparison between the two. There’s just a look and feel to the vintage knobs that make you want to linger for a split second longer to soak their sensation in. Do you see what I mean? Isn’t this one spectacular? I love the way it’s cut… the shadow sparkles like a diamond. And a rainbow of brilliant colours. They’re so pretty, so cheerful and fun… Who wouldn’t want a bouquet of them? I couldn’t resist including this emerald antique gem. 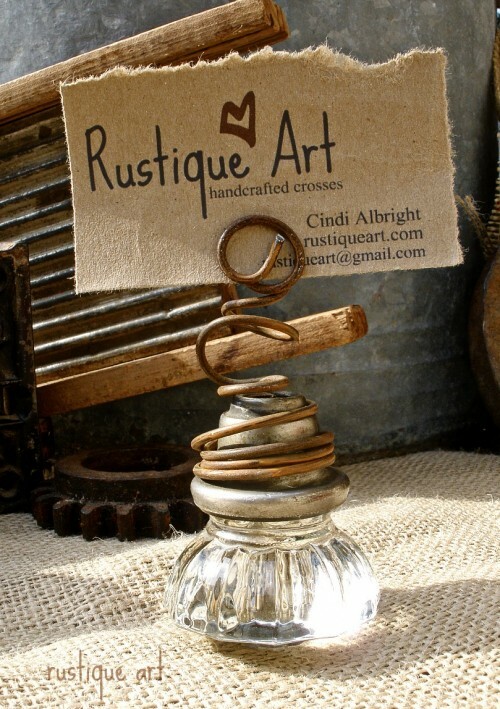 I love all the DIY ideas for repurposing yesterday’s jewellery of function into décor treasures of today. Like this practical coat rack. Isn’t this creative? I like that the original plates are mounted with the knobs for more authentic character. I think this wall paper adds the perfect punch. What a great idea to mix up the vintage knobs like this. 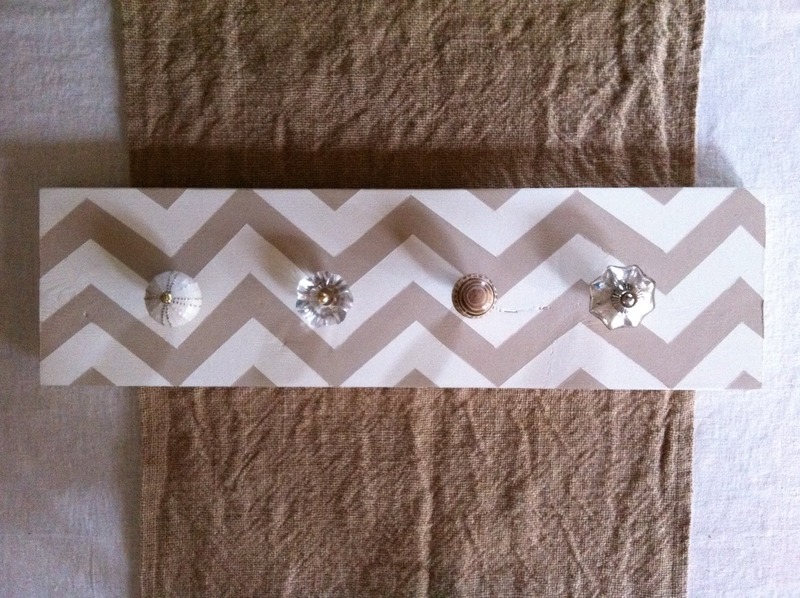 This idea might go on my DIY project list… I just need to decide where I would hang it first. 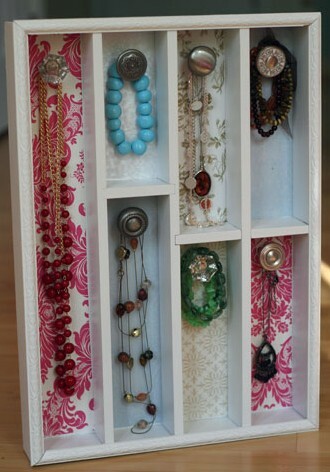 Here’s another cool idea for storing jewellery. Did you guess that this was a cutlery organizer in it’s first life? And how about this wine stopper? I SO heart this! It feels glamorous in a casual chic kind of way. The sliver of black you see here is a mini chalkboard made from an old cupboard door. What a perfect addition to a kitchen or an office space, or wherever you would place your message board. And doesn’t the glass knob give it the perfect finishing touch? How unique is this for a message holder? It would make a great paper-weight too! It would also work for a paper-weight… or a knife rest… as long as it didn’t roll! I saved this one for last because I think it’s so much fun. If you guessed garden ornament I wouldn’t argue with you, because it really is pretty peeking out among the green. But this is actually functional too. It’s a hose guide so the hose doesn’t harm the plants as it’s being moved around the garden. Isn’t this a neat idea? I could put pictures on here forever. 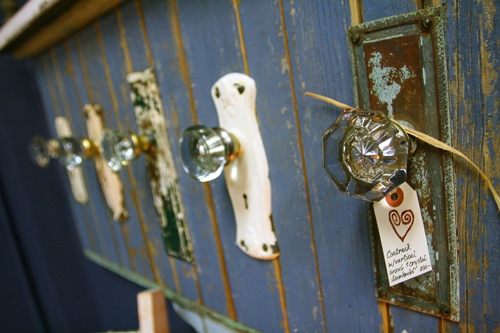 There are so many amazing vintage glass door knobs out there, and a ton of great ideas for how to repurpose them… My dream would be to find a stash like this. So I could enjoy them just the way they are until I decided what project to tackle first. 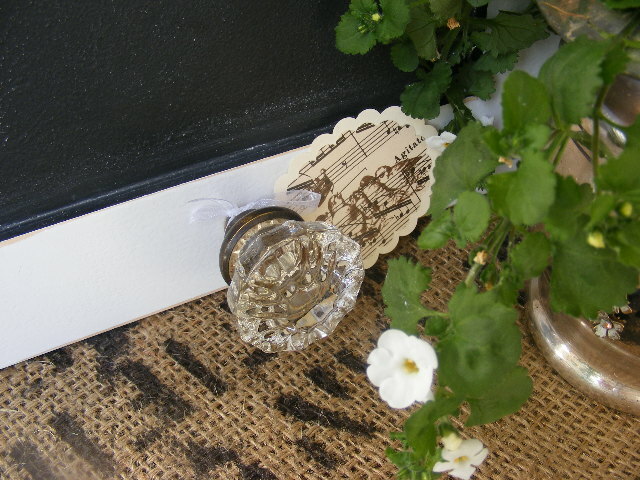 What would you do with a vintage glass door knob? Would you use it to open a door? 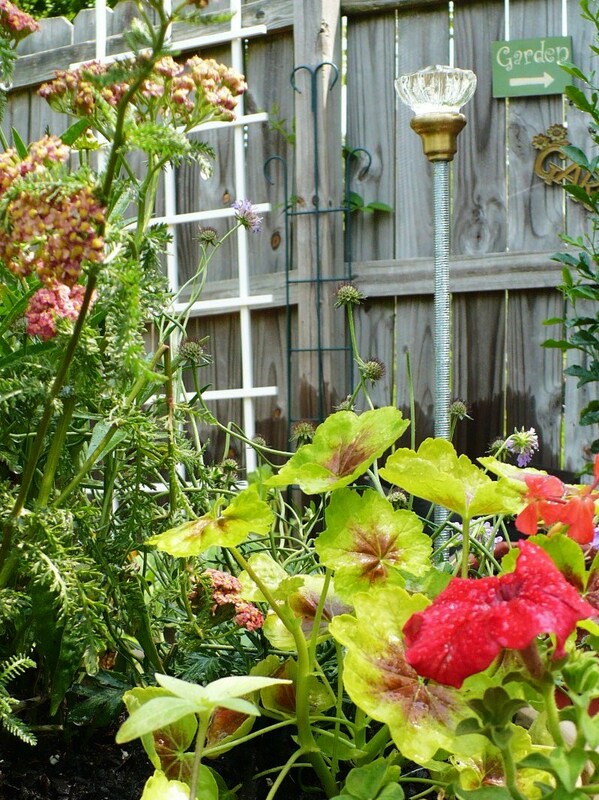 Or would you repurpose it into something fabulous and new? All photographs courtesy of linked source. I love old knobs. 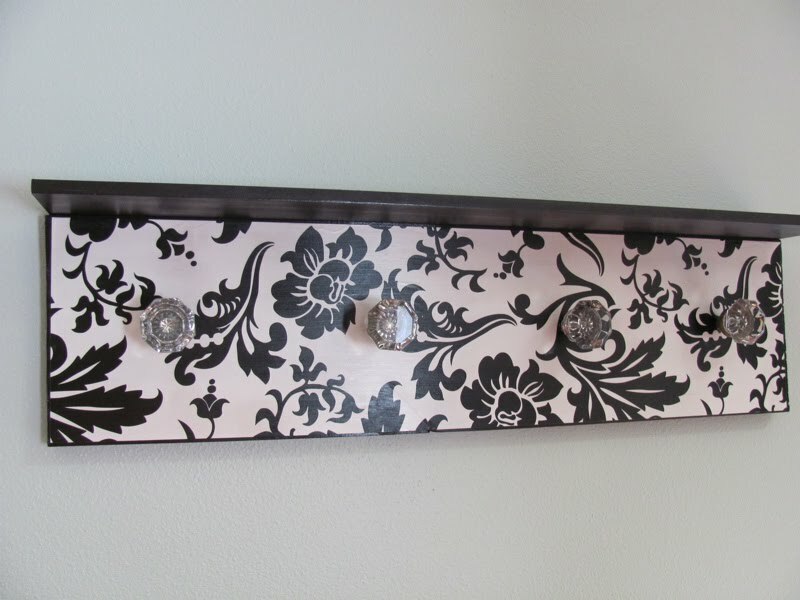 Would love to make a coat rack if I had some! LOVE LOVE LOVE this post!! Postively eye candy! I have had a soft spot for vintage knobs for years, and have my own collection stashed away in a box. This has SO INSPIRED ME! Thanks Sheila! I love these ideas! But how do you mount the doorknobs? To be honest, a lot of the knobs features are actually glass cabinet door knobs, so they mount with a screw from the opposite side of the piece that the knob sits on. The toughest thing with them is finding a screw in the right length. I just refinished a cabinet for my daughter and installed glass cabinet knobs – it took me 3 tries to find the right length screws! As for the door knobs themselves, I haven’t made anything using them yet… just dreaming up ides… and I think a bit of improvisation would be in store. But if I was to make a guess, I think removing the joining hardware is probably what happens, and then replacing that with again, a screw somehow in the appropriate length for the project at hand… I’ve been keeping my eyes open for vintage knobs in the hopes that I will have an opportunity to figure this piece out! I have about a dozen glass door knobs from my grandmothers old farm house…wanted to find something to do with them in our house renovation… glad I saw your site. Can’t wait to bring this special treasure back to life in our house. Thank you for stopping by! 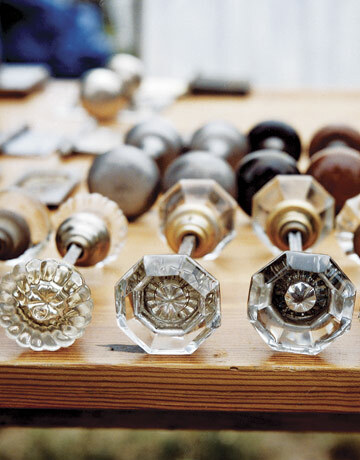 That’s incredible, not only to have so many glass door knobs, but that they came from your grandmother’s farm house. You are very lucky. Do you think you’ll use them on your own doors, or will you be doing something else to bring them back to life? 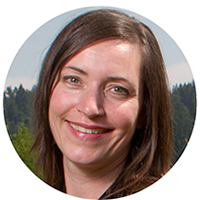 Would love to hear from you… I really appreciate your comment, and so glad you came across this post! I too have always loved them! 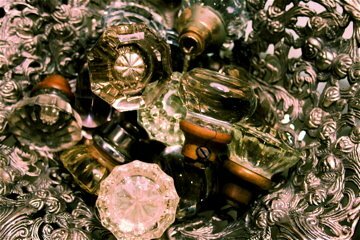 I was quite impressed with my apparent family wealth as a little girl, I mean really…who else had a gramma that could afford “diamond doorknobs”? 😉 I have picked up the odd and unloved doorknobs and massed in a apothecary jar. they look brilliant in the sun. In a bowl at christmas with greens and mini lights. And “diamonds” dangling from varying lengths of ribbon/raffia/fishing line is pretty magical from a tree, porch rail etc. NOTE: beware older glass knobs contain mercury that will turn lavenderish in sun exposure. What simple fun. 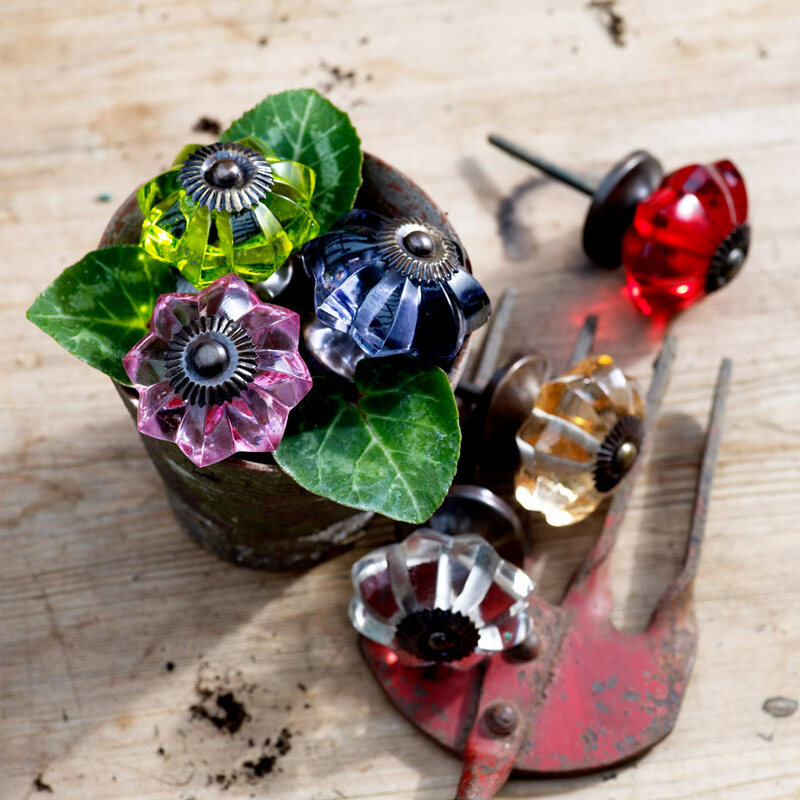 I have been so lucky to come onto 14 knobs and looking for ideas, one that I did not see here I am trying out it is to put them in a flower bouquet on a “stem” so they are elevated with the flowers, it really added a fun sparkle. I am curious how you might light them inside? Also, has anyone every removed the brass fitting from the base? Does it expose more glass? I hate to experiment as it may ruin the knob for other uses. I think the best way to mount door knobs to a wood board is to use wood doweling. It’s almost impossible to find a screw that fits the threads. Not sure what glue would be best. Hi there, i am after a large green/blue knob to put on a linen press, which is situated in my hallway. It would be a feature. Do you have one that i could purchase? Thank you for asking, but I don’t actually sell any of the items in my articles. For a vintage glass knob like you’re describing, I would try Etsy, and possibly Ebay. Good luck with your search – your linen press sounds like a great feature, and a vintage glass knob would be the perfect finishing detail! So I’m looking for some glass door knobs to make a Christmas present for my best friend. Do you know/ have any idea of where I could find some? I want to mount 4 or 5 onto a board that I’m going to design so she can hang necklaces and bracelets. I would love to not spend a lot of time driving around looking for some. Thanks a bunch! If you don’t have time to search for vintage glass knobs, you can try Etsy. 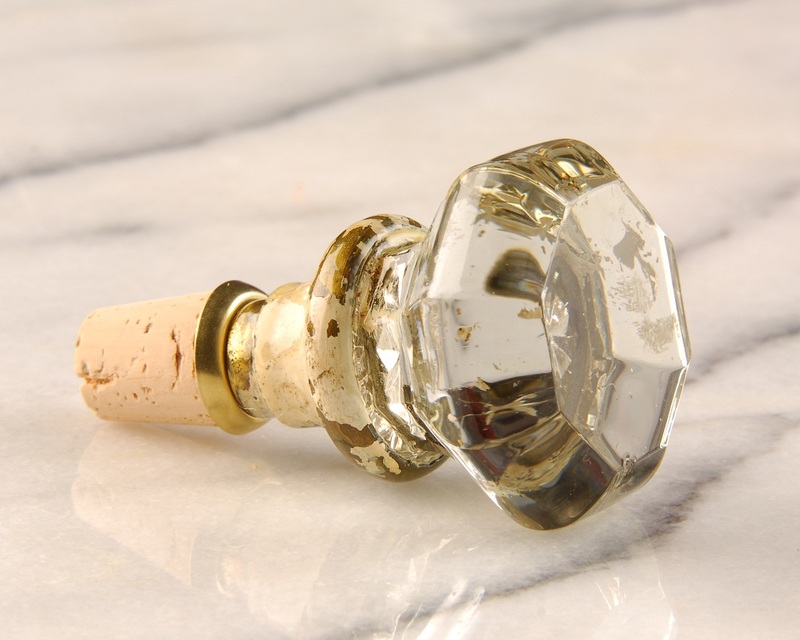 I have some old door knobs that I would like to turn into wine stoppers. How did you do this? Where did you get the gold piece between the cork and the glass knob? Thanks for your help. 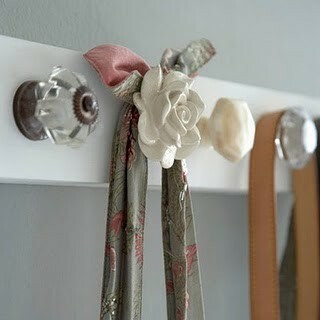 The coat rack idea from old door knobs is my favourite, I might try this in the down stairs toilet. If you do, Brian, I would love to see photographs! I really like this idea, too, but I haven’t yet forged ahead and given it a try. Thanks so much for stopping by and for your comment!! These doorknobs look so incredible! I want to find one of these and to put it on my front door! Regards! Colney Hatch Carpet Cleaners Ltd. 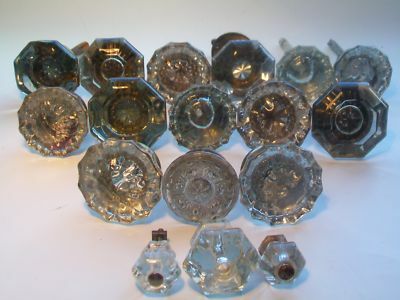 I have a small collection (20-30) of glass door knobs, and I’m wondering where I can re-purpose them. I like the coat rack ideas you show here. Remember Aunt Clara? Aunt Clara had 2000 to 3000 Door Knobs. In real life, actress Marion Lorne McDougal had a door Knob Collection, and used her door knobs as props in the Bewitched show.